I don’t know if you’ve been paying attention to how much movie tickets are, but they’ve gone up every single year since 1993. In New York and Los Angeles, it’s not uncommon to lay out $15 a ticket. And that’s not even with Popcorn. But there’s a way out of the madness, thanks to a former Netflix executive, MoviePass will now let you watch as many movies as you want for only $10 a month. “People really do want to go [to the movies] more often. They just don’t like the transaction.” – Mitch Lowe to Bloomberg. Originally launched in 2001 buy Stacy Spikes and Hamet Waits, MoviePass is a subscription service for going to the movies. It gave subscribers the ability to watch any movie, at any theater that is part of the system, for any show time, including opening night. The only caviats are that MoviePass is only good one movie a day, and only for standard screenings. IMAX and 3D presentations are not included. But at a low monthly price compared to buying tickets at the box office, it was very attractive. The scheme launched in rough waters, however, receiving push back from theater chains who saw it as an accounting nightmare destined to lose money. 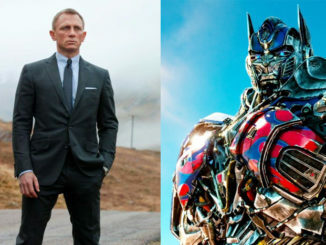 How do you pay studios that usually get up to 100% of the box office revenue (that’s why popcorn is so expensive)? MoviePass, however, buys the tickets in bulk and then resells them to members through the monthly scheme. But over time, with ticket sales gradually dropping year after year, and prices going up year after year, the theater chains saw that they were in a downward cycle and decided to give MoviePass a go. And by the beginning of the year, MoviePass had over 20,000 members, who could see movies at 4,000 theaters and 36,000 screens around the country. That amounts to 91% of all movie theaters. The problem was, that the system used to require users print up a voucher with which to redeem at the box office. The process was complicated and the service’s monthly fee also varied by geographical location, so users would pay anywhere from $30-40 a month depending on where they lived. So when MoviePass brought former Netflix and RedBox executive Mitch Lowe on board, he moved to standardize the pricing structure, lower it to $10 a month, and make it dead simple to buy your ticket. 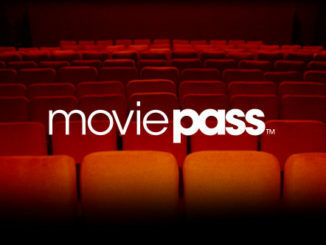 Now, members use the MoviePass app on their mobile device to input their membership number and get their ticket. Signing up is free, and all users need to is keep a debit or credit card on file. PayPal is also accepted. MoviePass’ price drop, however, has not been without controversy. AMC has already threatened legal action against MoviePass, which they characterize as “a small fringe player” in the movie exhibition business. “(The MoviePass business model) is not in the best interest of moviegoers, movie theatres and movie studios.” Considering what AMC charges at the concession stand, I’m pretty sure that the last two are the only considerations that the chain cares about. But Lowe says that AMC is reacting the same way that video rental chains like Blockbuster did, when RedBox rolled out their DVD kiosks. And we all know how that ended up.“It’s the big guy being afraid of the little guy offering better value to consumers,” Lowe said.